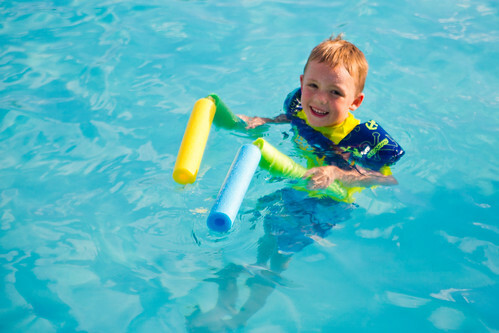 Pool Noodle Nunchucks just might be my son’s favorite toy this summer. We made a set for each of my nephews, who are visiting this week from out of state, then headed to the pool to give them a try! 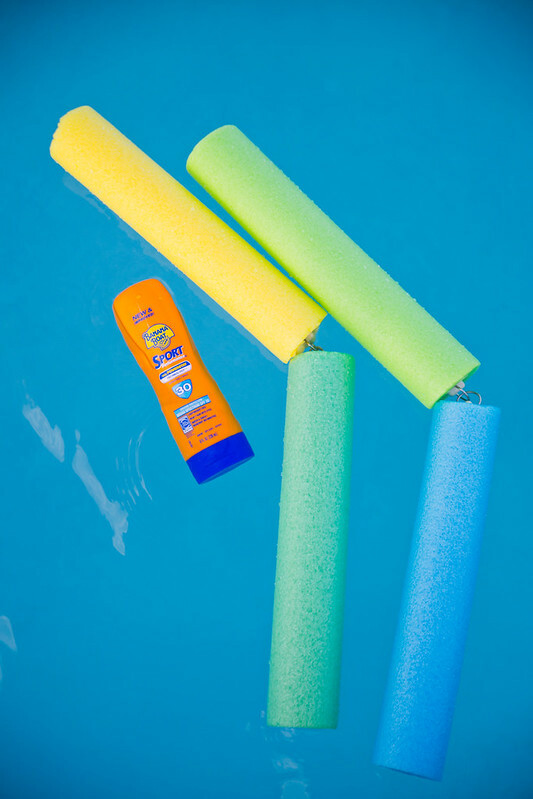 Before getting in the water, we lathered up with Banana Boat® Sport Performance Lotion Sunscreen, which features Powerstay technology that locks the sunscreen in place. 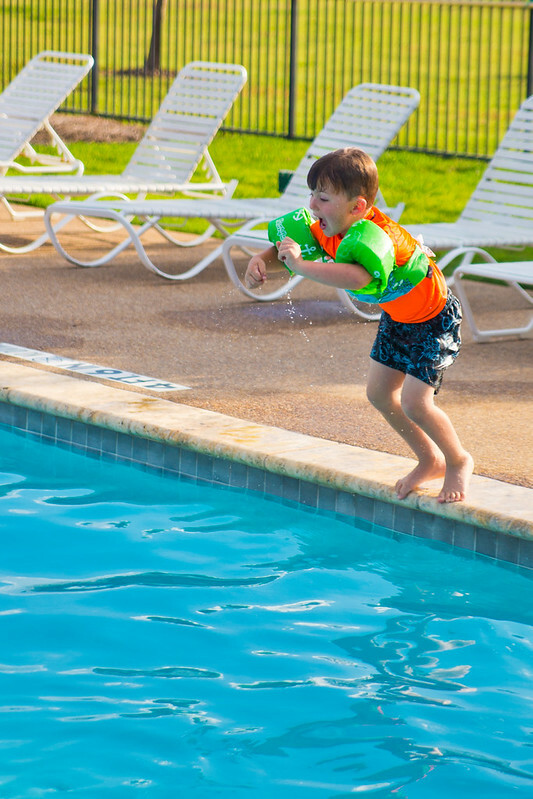 It’s perfect for a pool day because you know that your kiddos are protected, so you can spend more time splashing and playing! 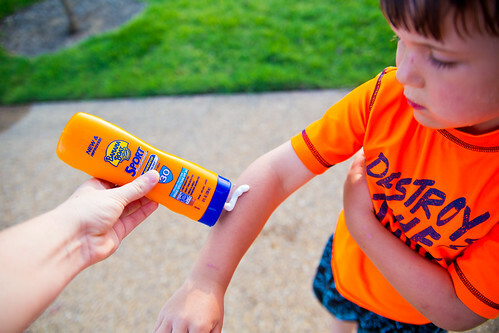 When you’re trying to apply sunscreen to three wiggly boys, it’s important that it goes on easily and doesn’t run. Banana Boat® Sport Performance Lotion Sunscreen is water and sweat resistant for up to 80 minutes, and it won’t run in their eyes. The lotion is available in SPF 15, 30, 50+, 100 and provides safe and effective broad spectrum UVA and UVB protection. I like that I can trust my kids’ skin to it. 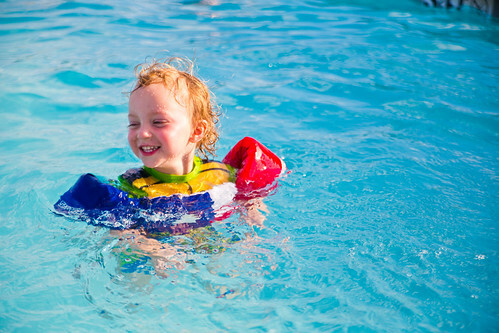 Now that your kiddos are protected, it’s time to play! 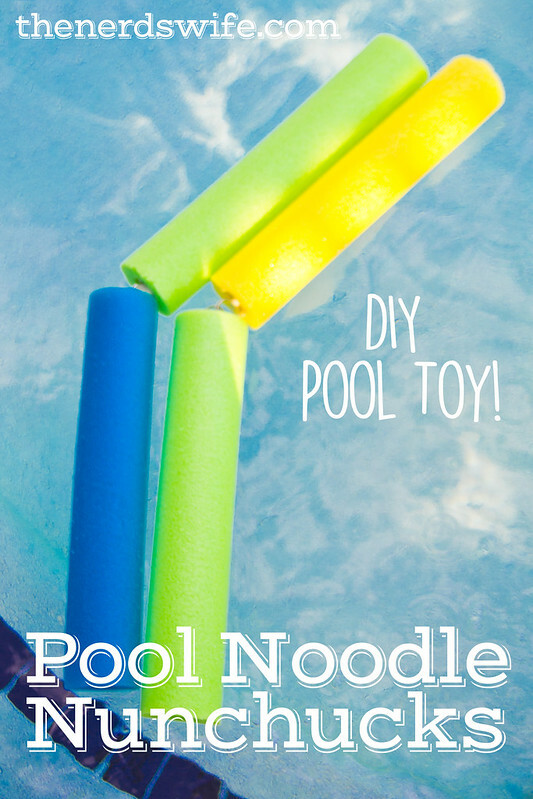 But first, you need to make your Pool Noodle Nunchucks! 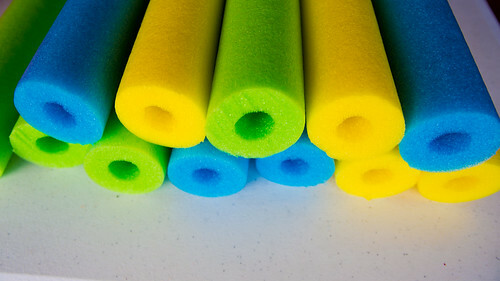 Cut the pool noodles into 12-inch pieces. Use pliers to separate the metal loop from one of the plugs, and connect it to another plug. Add glue onto each plug and insert into the hole in the ends of two noodle pieces. Allow to dry and your nunchucks are ready for play! 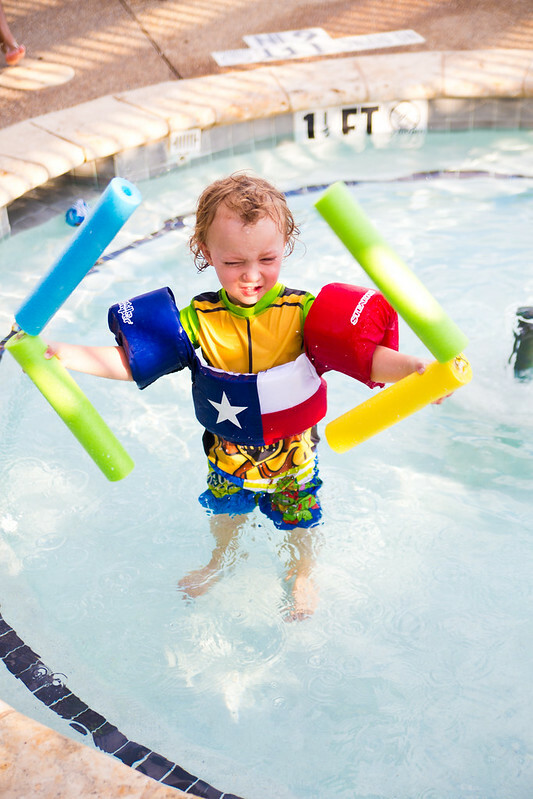 These are the perfect toy for the pool because kiddos can swing them around, float on them, or whatever their imagination can come up with! 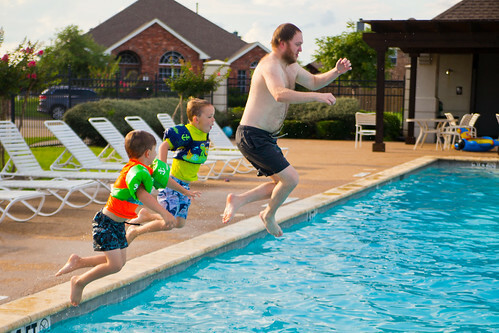 Your family will have so much fun — the kids might even convince the adults to jump in! Banana Boat® Sport Performance Lotion Sunscreen stays on in seven real life conditions -– sun, pool water, ocean water, wind, sweat, sand, and even 100-degree heat. Use it all summer long! This summer, head over to the Banana Boat® Facebook page for even more fun activities and ideas, like this DIY launcher toy! 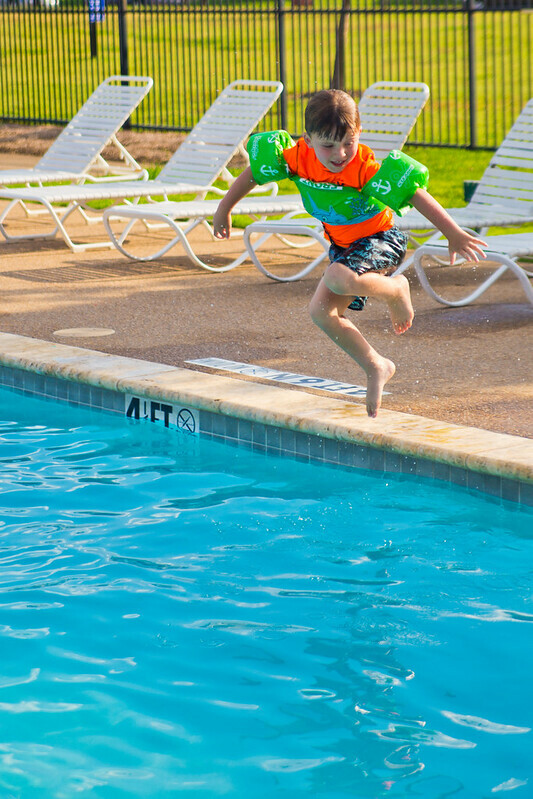 It’s going to be the Best Summer Ever! Awesome! My niece would absolutely love these! 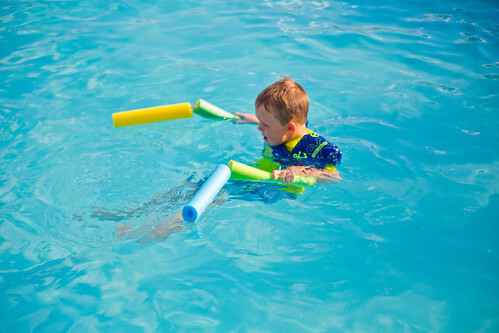 We did something similar, but instead of nunchucks, we made pool noodle swords with a PVC pipe hilt. It didn’t even think of nunchucks…great idea!